The national institute on drug abuse lists Maryland as one of the top five states for opioid-related overdose deaths. BALTIMORE — The National Institute on Drug Abuse lists Maryland as one of the top five states for opioid-related overdose deaths. There is help for people living with addiction, but it often comes in the form of another drug, such as Methadone or even Naloxone. "It saves many, many lives, in terms of treating overdose, it has been used for many years, and it is a wonderful save. It allows us to save the individual’s life to get them into treatment," said University of Maryland Baltimore professor of Pharmaceutical Sciences Dr. Andrew Coop. But some say all too often the missing link to recovery is access to effective treatment, including Dr. Richard Barth, the Social Work Dean at the University of Maryland Baltimore. "Many people that get Naloxone may end up in the emergency room, and then they leave and they aren’t connected to treatment at all, so one of the things we have to do is to improve the addiction system of care. All of us know what a transportation network system should look like, but we don’t really know what an addiction system of care should look like." "When they stop taking the drug because they’re no longer in pain, they’re dependent on it, they will go through withdrawal. Withdrawal is not like headaches for coffee, the best way to describe it is like a really bad flu, and I don’t mean a bad cold, I mean the flu," added on Dr. Andrew Coop. And the desire to avoid withdrawal fuels the need for the drug even further. Dr. Andrew Coop says currently there is only one way for someone to prevent withdrawal and stop the dependence on opiods, they have to start taking another drug, Methadone or Buprenorphine. "The patient who is given the drug to treat the pain, gets dependent, will go through withdrawal when they stop, they will go seeking drug, not to get high, but to prevent withdrawal," he explained. "We have a big job to do in reducing that stigma, I think the stigma is coming down, and that people are starting to understand that this is a chronic relapsing disease and it really needs to be treated that way," said Dr. Barth. It’s why many researchers believe addicts need to be given something else to detox, instead of just another drug. 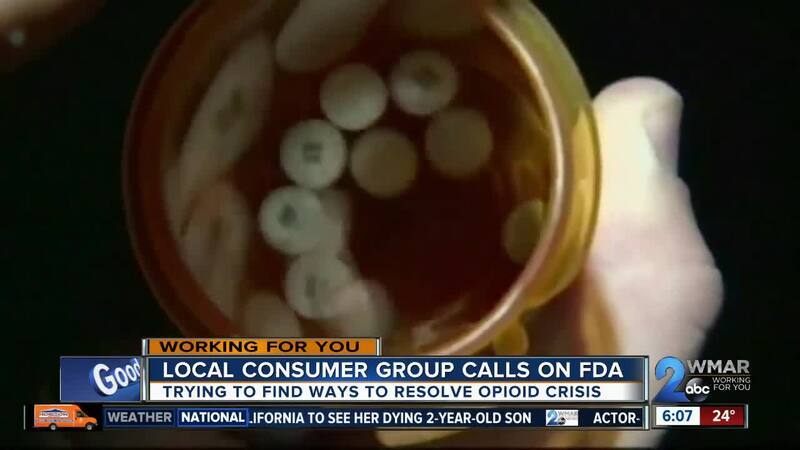 "We need to think about that need, that want, the customer, wanting that drug, so we do need to focus on the individuals in society and the socio-economic aspects of it," said Dr. Coop. "We have dis-invested in our schools, in athletics, and a lot of the things that are alternative paths, and job training, we definitely need to move way ahead in areas like that," added on Dr. Barth. Which would put less of a focus on treating the symptoms of addiction and more on the causes. "What we really need to do, and I’m not saying stop Naloxone, but my vision, is that we do not need Naloxone," said Dr. Coop. Thursday on Good Morning Maryland we’ll meet the doctor leading that research and talk with a doctor at Johns Hopkins Medicine about predicting addiction.